At Cut this week we are short one of our filter options, so I am crafting my own question this week with: why three? Yes, we usually have four options. And yes, its the best time of the year for seasonal, fresh coffee. Our warehouse shelves should be bursting at their metallic seams. However, each step in the coffee chain is extraordinarily precarious. I purchased four different coffees many months ago for this late Summer period but all four have been delayed either at origin or in transit. So how does this happen? 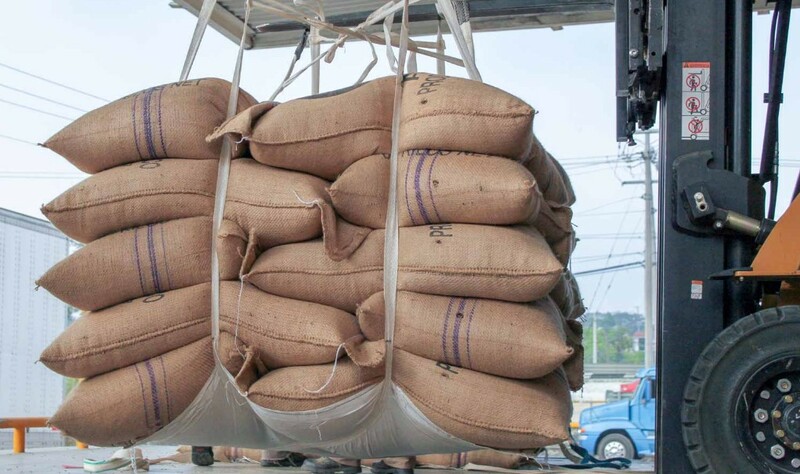 We have discussed the actual plant, as well as the picking and processing, so it about time that we focus on the chaotic road-trip that coffee traverses through organizations, exporters, importers, ports, and shipping containers on its way to the roaster. The dry mill is often the conclusion of the ‘origin chapter’ in the story of coffee. To quote from Ryan Brown’s Dear Coffee Buyer, “from the drying tables, the coffee needs to undergo dry milling, several steps of sorting and preparation, bagging and loading into a container, and then shipping typically across an ocean or two”. There are many ways the chart’s arrangements and relationships could play out. Let’s illustrate with Peru. Producers in different regions, like Juan Quilla Laura in Puno or Ever Ccorimanya Serrudo in Cusco, grow incredible coffee on their individual farms. For washing, Laura works with the Cecovasa Co-op, while Serrudo is a part of the Grupo Calca association. 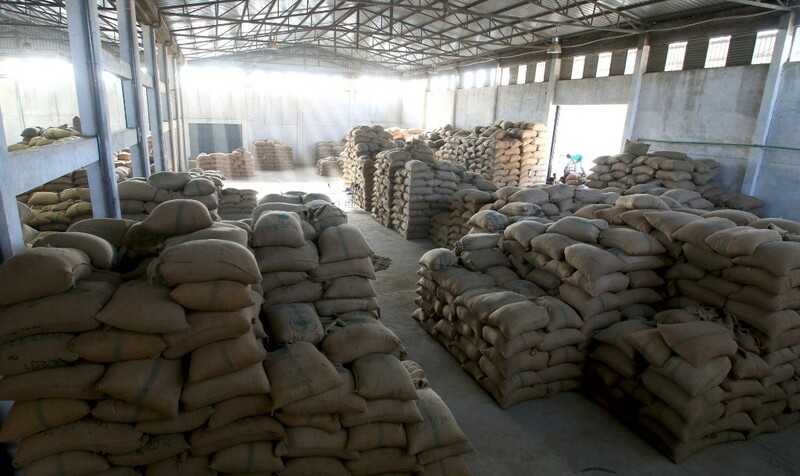 Despite the near 400 km between these farms, both delivery coffee to the Juliaca dry mill, who prepare it for our friends at Red Fox Merchants and, in turn, Cut Coffee! 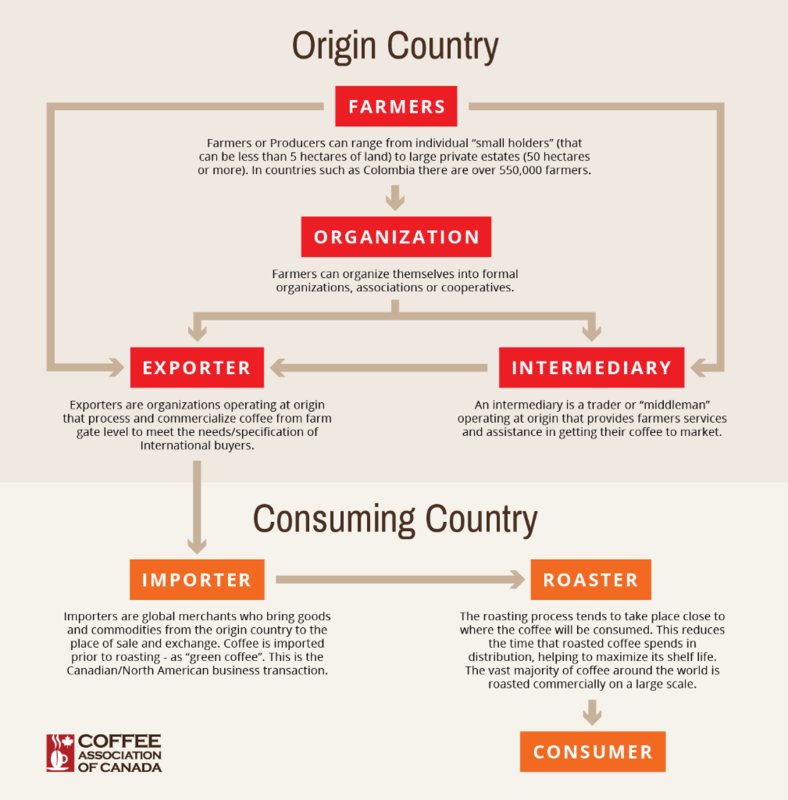 There are certain companies that I love to work with as they operate or engage at several stages in that flowchart: working with farmers on the ground, helping with processing infrastructure, and ensuring direct connections throughout the varied points from farm to cup. I remain fairly critical of the ways some in our industry over-represent their relationships with producers (archived here: evaluating claims). Hence, I happily illuminate our supply chain on the weekly offer sheet! To again borrow from Ryan Brown, the most common misconceptions about principled green buying is the elimination of middlemen, which results in increased pay for producers. He writes, “exporters and importers add tremendous value to the supply chain, and trying to handle that work on your own is unlikely to be worth it for you or your suppliers”. In that Peru model, the co-operative and associations help pool resources, enable collective improvements in processing, as well as increase selling volumes and bargaining power. For Brown, direct trade is actually about direct payment terms. Thus, equitable trade flourishes from “knowing how much money producers are paid” and understanding “how the all-in cost is divvied by the various parties” at each step and level. All of this is to say, fresh crop is en route! Including the exciting return of Katia Duke’s Finca San Isidro in Honduras and Gachami Washing Station in Kenya! We just need to exercise patience because of various delays including – but not restricted to – rainfall, moisture activity, trucking tie-ups, port schedules, and customs.